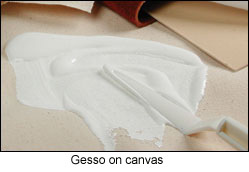 An innovative, impasto acrylic gesso used to prepare painting surfaces for acrylic and oil paint. Enables you to create thick sculptural applications and is an excellent ground for acrylic and oil paint. Thy mixing with acrylic color to have a tinted ground. Flexible, non-cracking and non-yellowing when dry. Provides the perfect "tooth" and adhesion to a wide variety of supports such as canvas, paper and wood. Excellent base coat primer for many applications such as murals. One coat is usually enough. Its quite expensive but for me its worth it. It is fluid and has a great smooth consistency, when dry can be sanded. I use it to prime canvas mainly but have primed wood also. 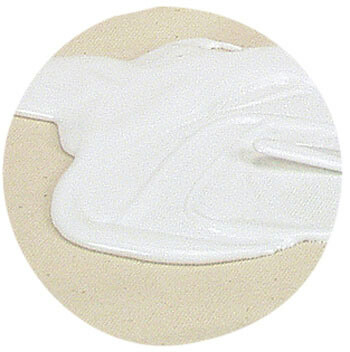 I had always bought gesso in pots and fallen victim either to tipping it up on the floor, or leaving the lid off and having the gesso dry out or go mouldy. 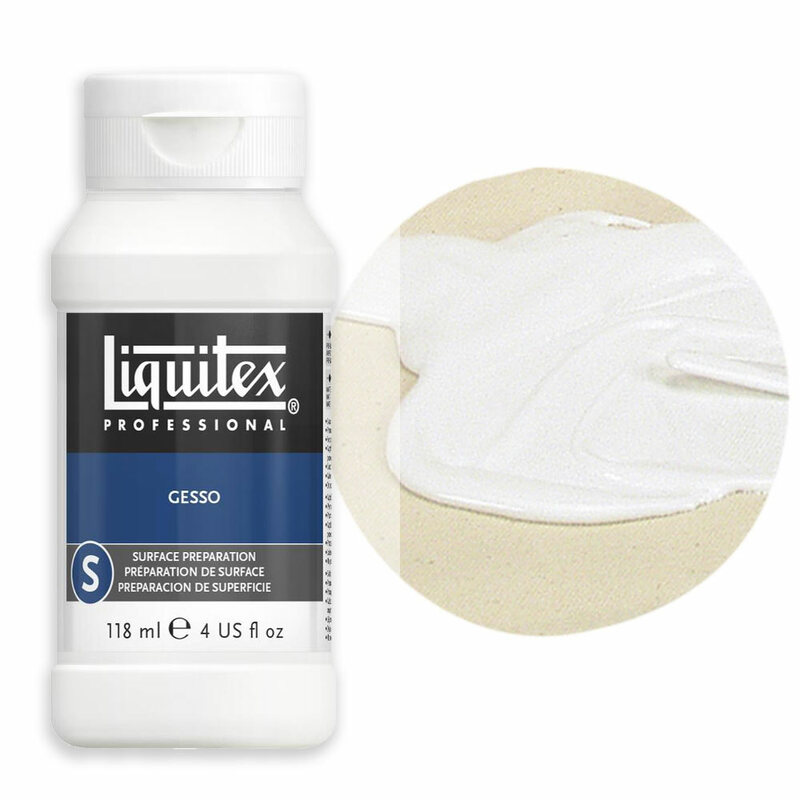 The Liquitex bottle solves both problems; you just squirt out what you want and seal the top back down.